Our goal is to create a social cycling club for all abilities that everyone feels part of. We are a new club formed in March 2016 by some enthusiastic, friendly (not so talented) local cyclists. Currently we have around 44 members and are always looking to grow. We encourage new members to join us on some of our Regular Cycle Runs to ensure we are the right club for you. If you find we are the right club for you we will ask you to become a member after around three club rides. Most cycle runs take place around the Biggar area along the quiet country roads of the Southern Uplands and the Clyde and Tweed valleys. As the club grows we aim to go further afield in Scotland, the UK and possibly venturing into Europe. With the interests of the current members we have mainly focussed on road cycling however we are open to extend the club to all other cycling disciplines - if you'd like to know more please contact us. 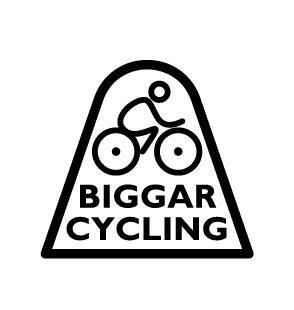 We look forward to you joining us and helping shape the future of the Biggar Cycling Club. If you'd like to see what we get up to follow us on Facebook or check out our latest Posts. The cycle routes will be chosen each week depending on weather, participants etc but we aim to cycle for typically 3 - 5 hrs. On the Sunday Spin (depending on numbers) there will be two groups; One normally goes on a longer route (60 - 70 miles) and an average pace of 16 mph plus average pace. The second group is a shorter distance of 30 mile - 40 mile and an average pace of 13 - 15 mph. We normally stop during the cycle runs for a coffee and cake so please remember to bring some money with you on the cycle. We do encourage new members to be able to cycle at least 30 miles but out on the rides we stay as a group and go at the pace of the slowest member. Cycle Runs details and routes are posted on our Facebook page. Cyclist Under the age of 16 must be accompanied by a parent or guardian during the run. If you are new to the club please read membership page for more info before attending a club run. The mid week cycle runs have came to end this year. However, they will be back in April so please keep an eye out for any updates on the website and our Facebook page.